It's easy to forget when viewing a watch like this the little things. 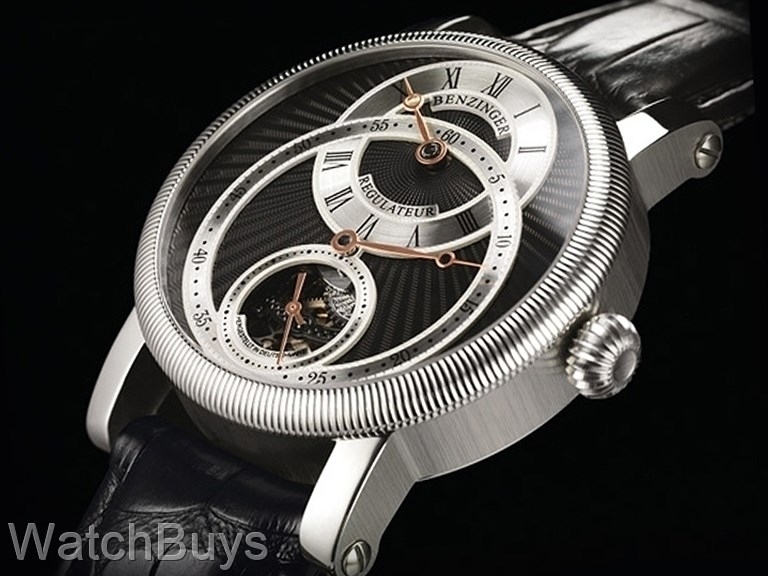 For example, take a minute to enlarge the photograph above showing the front of the watch, and you'll notice a dial plate with a sunray style of guilloche. With most watch brands, even those costing $10,000 or more, this design is simply stamped into the dial. 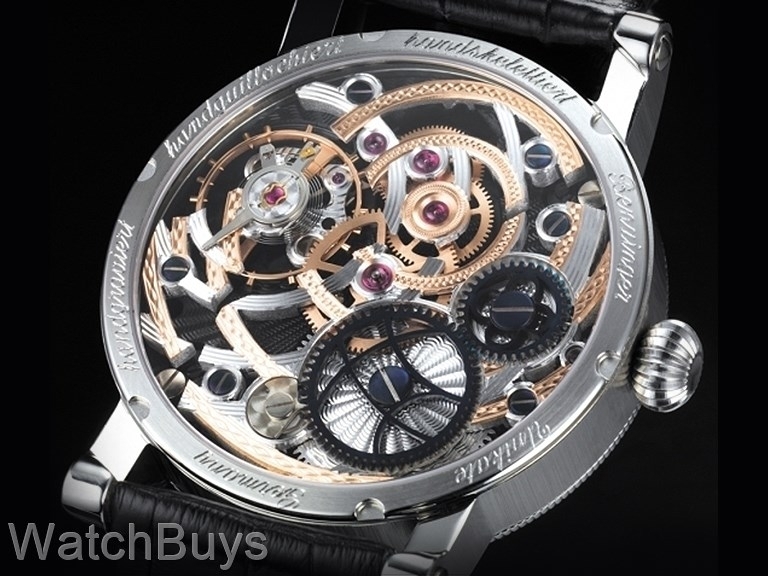 A few others with prices above $20,000 will actually engrave the dial rather than stamping, but the engraving is made by a CNC computer controlled robot that creates the dial exactly the same way, every time.